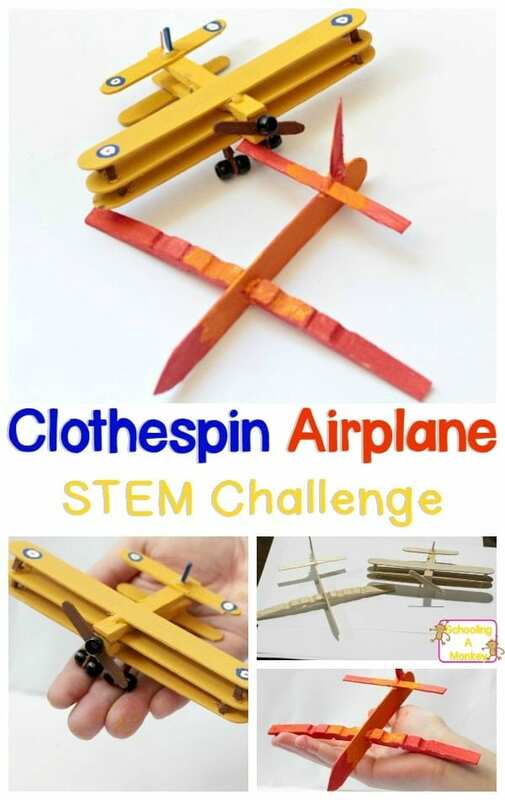 If you’re here, you want more ideas for STEM activities. 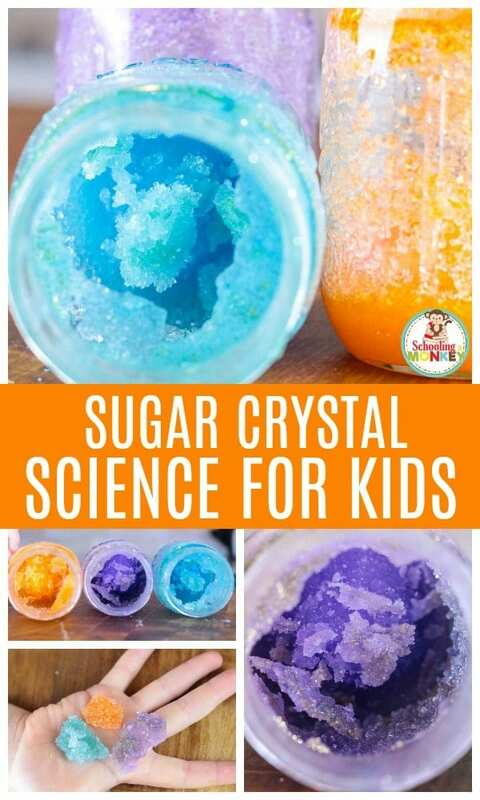 For kids, the summer is all about having fun, getting outside to play, and doing new experiences. 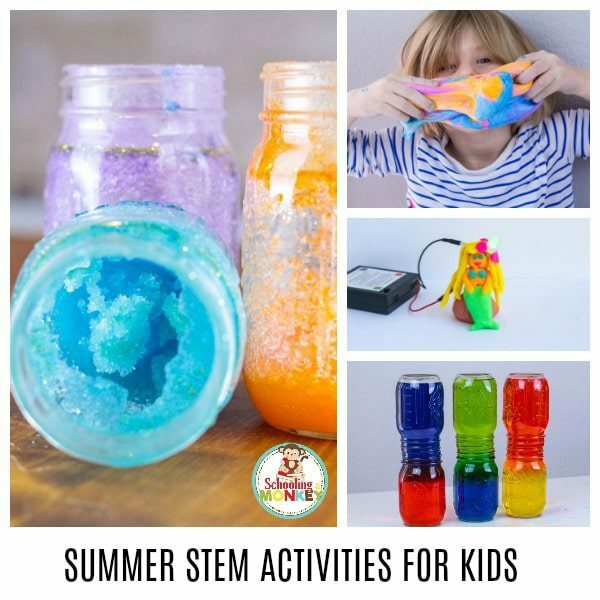 If you’ve never done STEM activities with your kids before, now is the perfect time to try summer STEM activities! 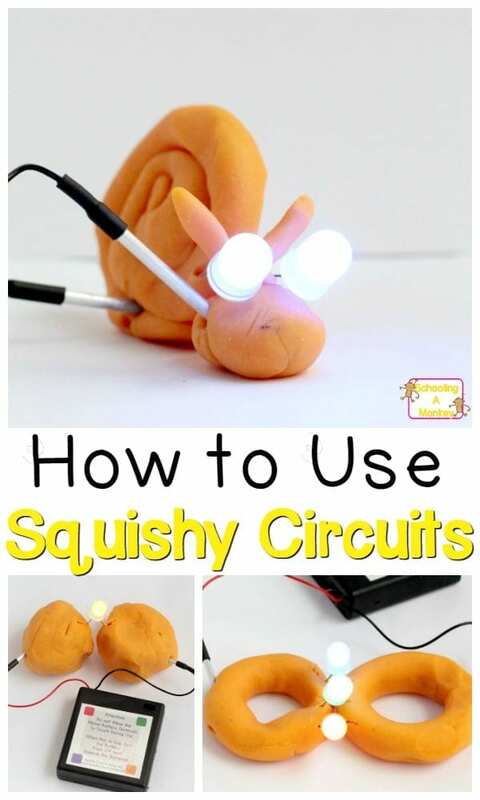 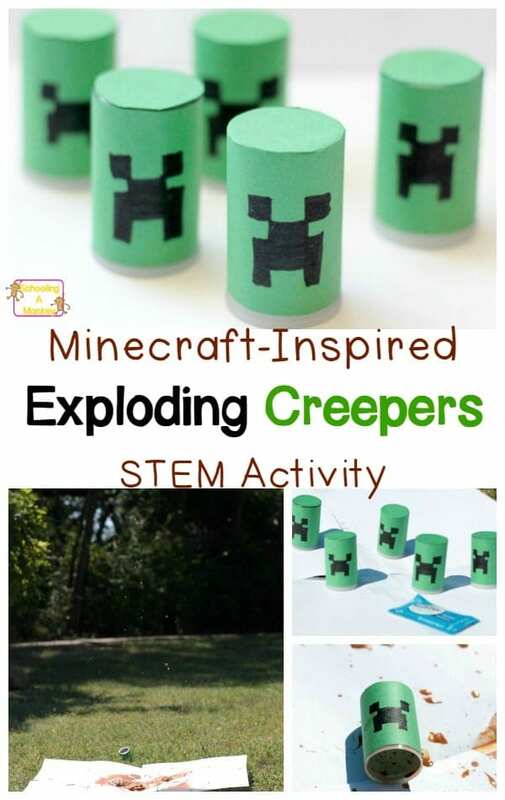 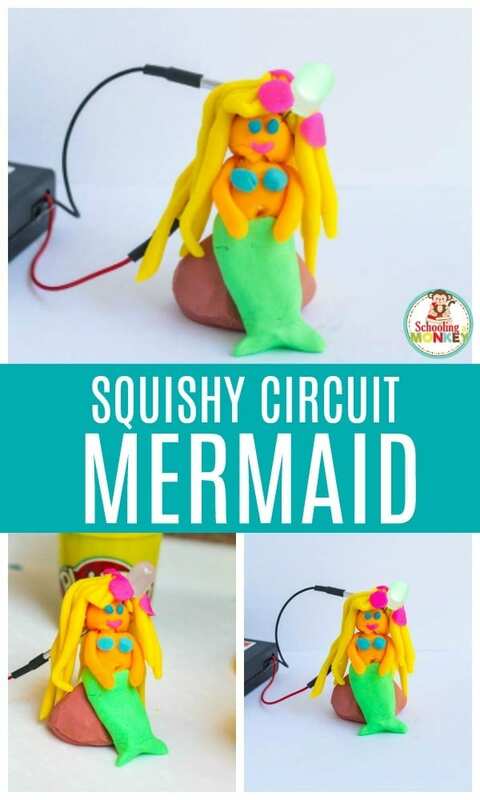 STEM activities for the summer are one of the best ways to keep your kids learning through the summer, but also having a wonderful time learning in new and creative ways. 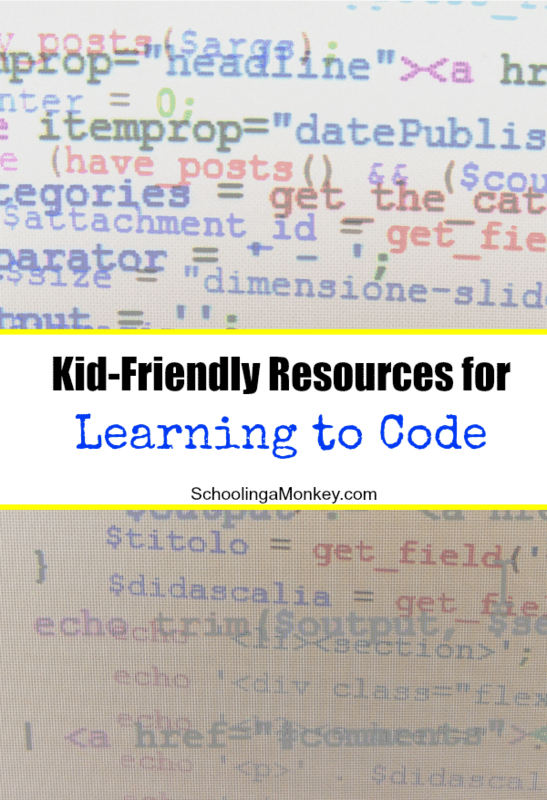 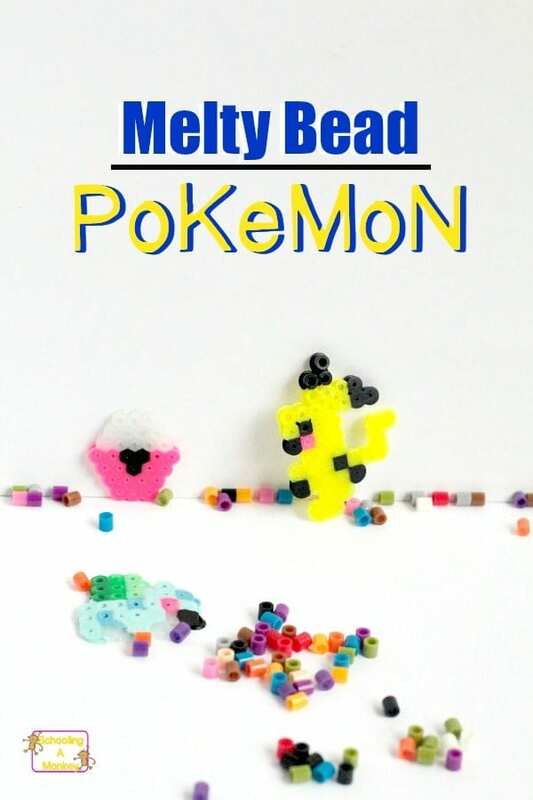 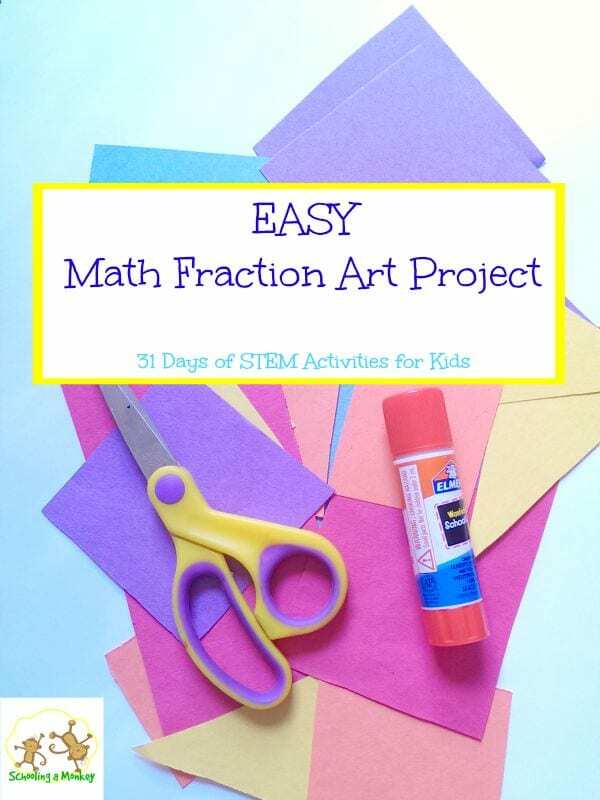 During the summer, I like to engage my kids with themes they are currently interested in. 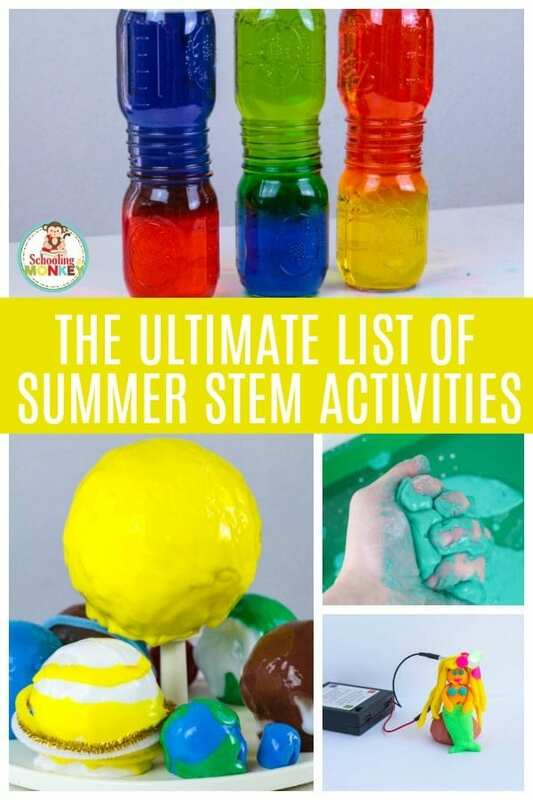 All of the summer STEM activities in this list are a direct result of my kids’ interests and how we’ve looped them into summer learning. 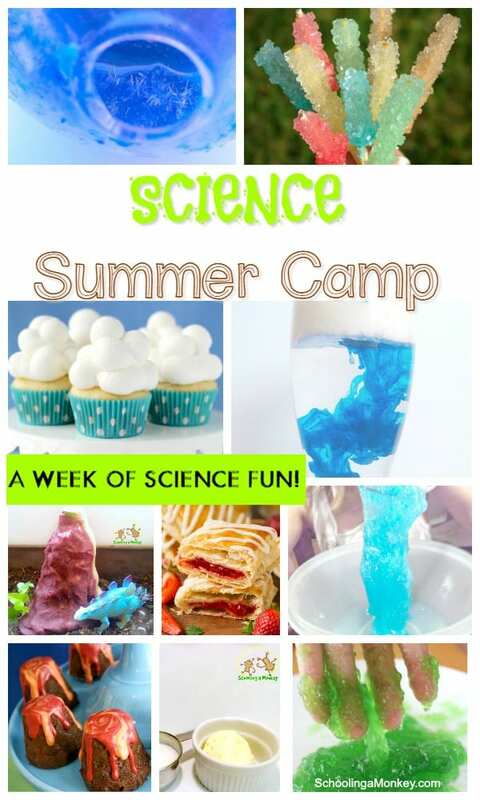 Read on to find the complete list of STEM activities for summer! 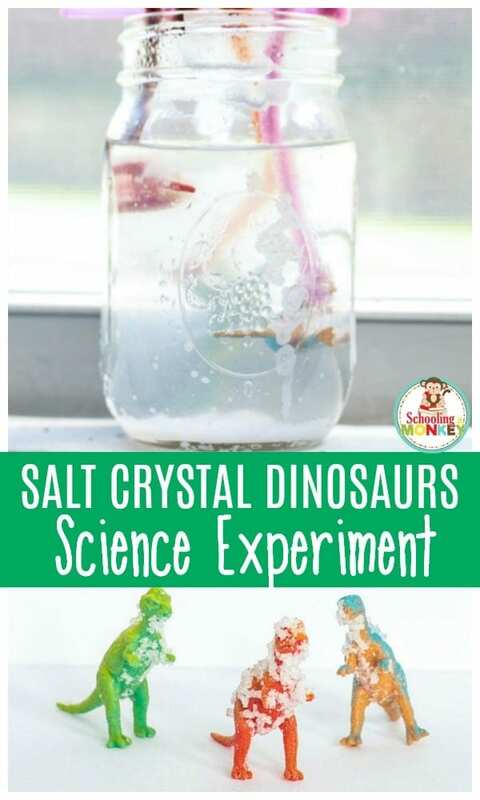 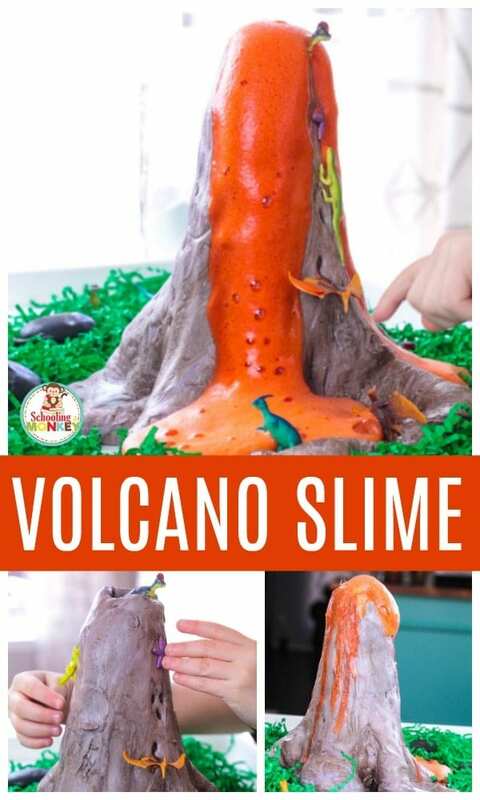 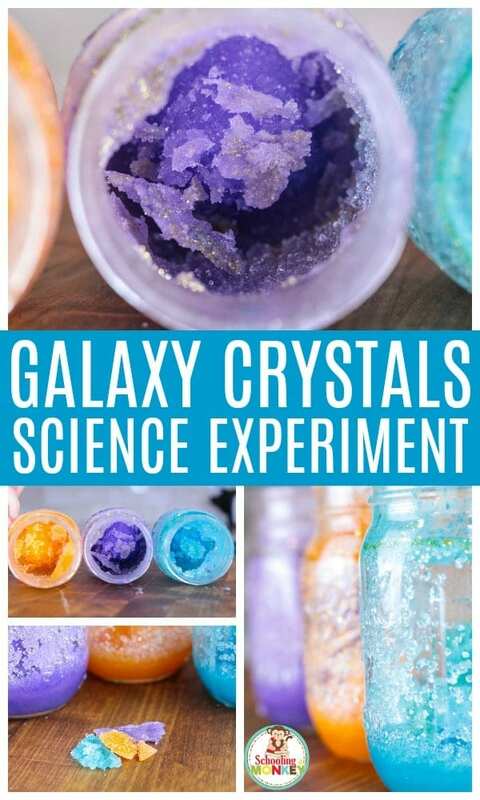 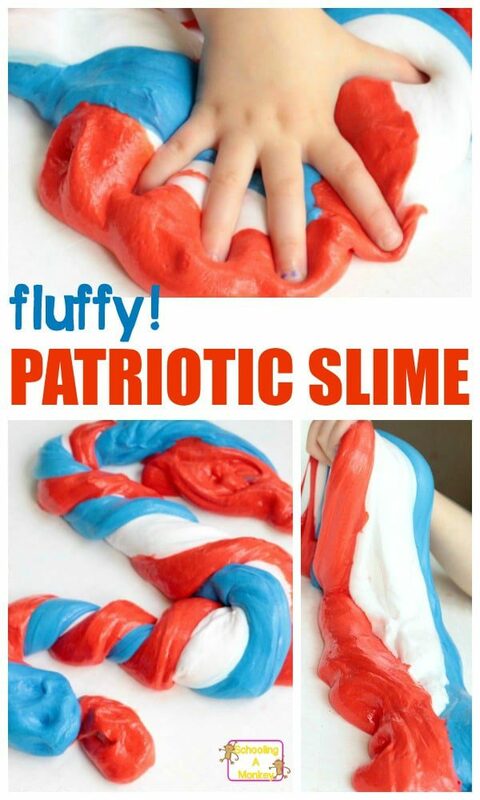 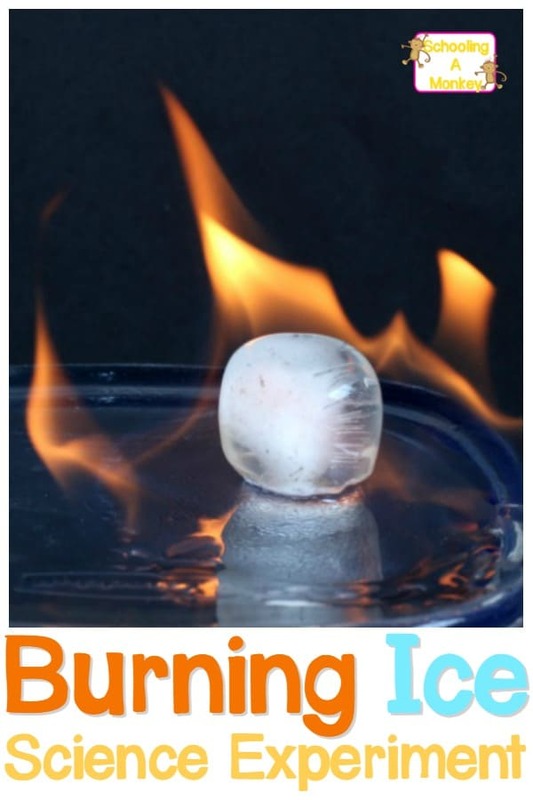 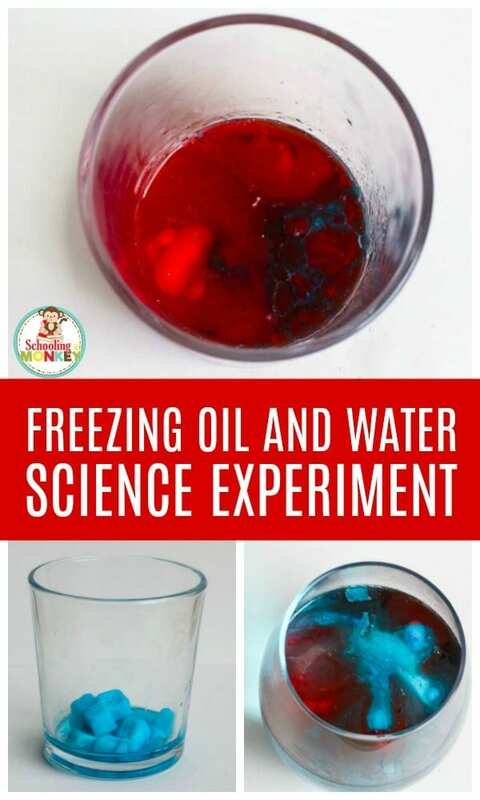 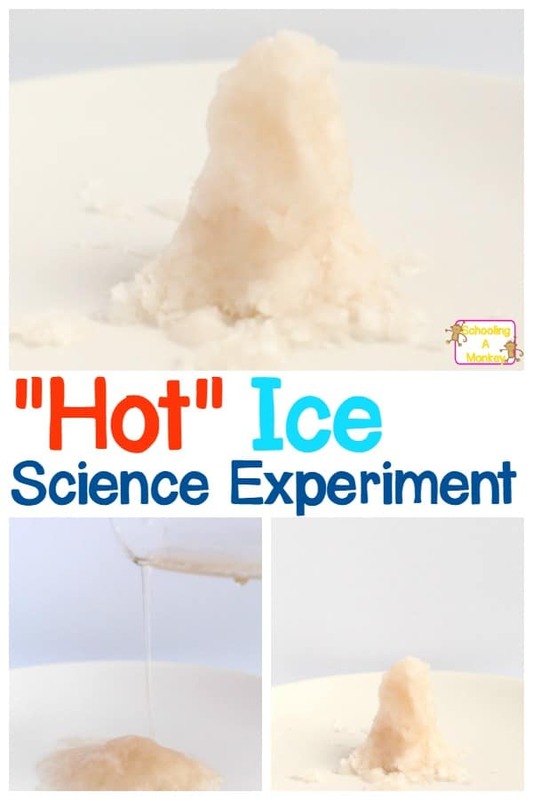 You’ll also want to check out the ultimate list of summer science experiments. 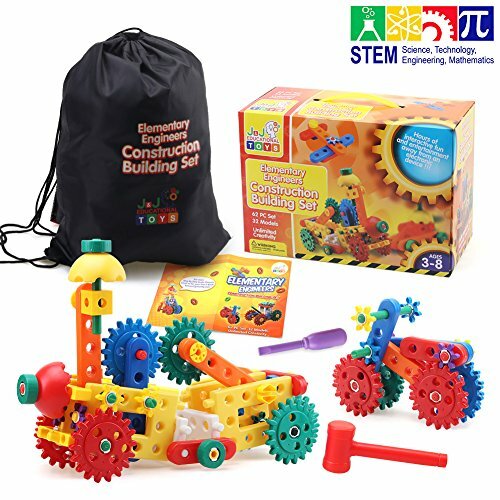 STEM is not so much a topical study as it is an approach to teaching and learning the subjects of Science, Technology, Engineering, and Math. 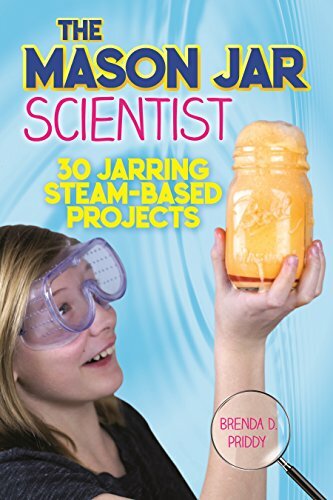 Summer STEM activities use all of these subjects together to solve real-world problems. 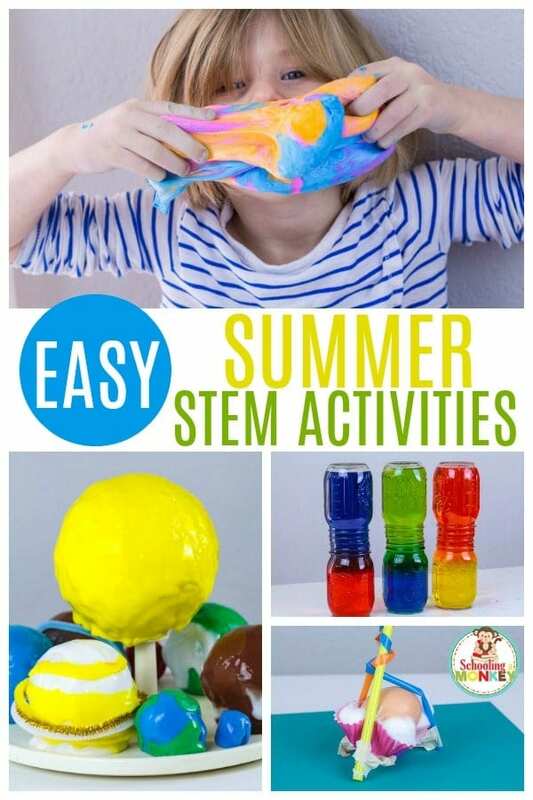 When doing summer STEM activities, you can focus on just one element of STEM at a time, or do projects that include two or more STEM subjects. 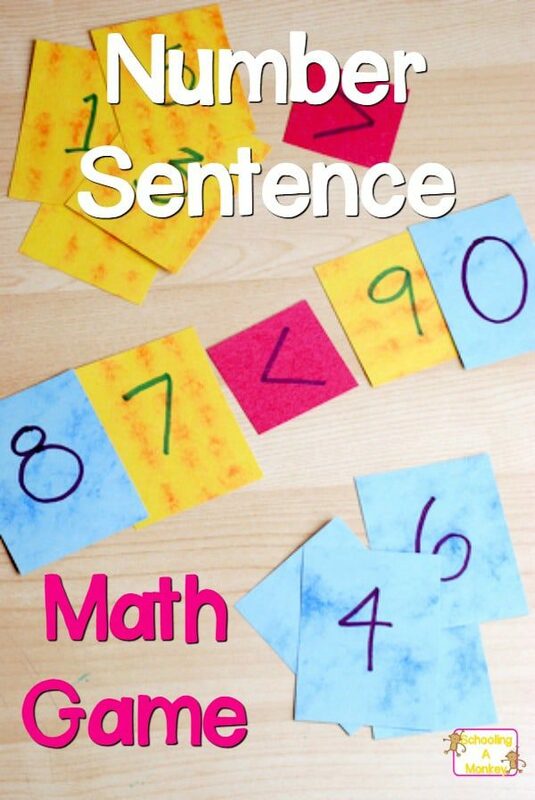 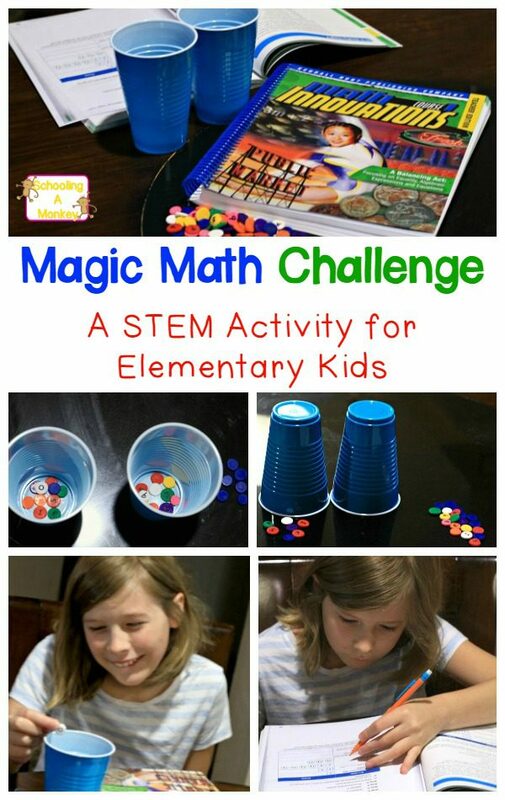 A STEM activity uses elements of Science, Technology, Engineering, and Math to solve problems. 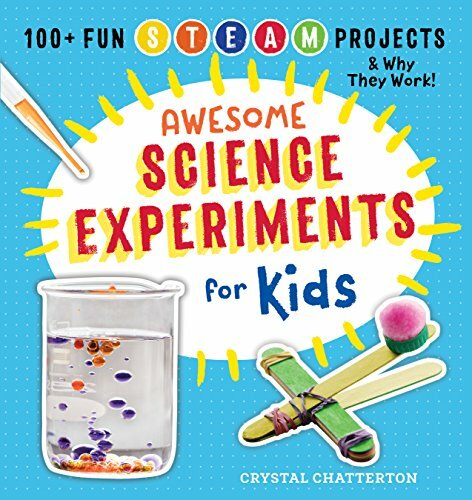 All STEM activities are inquiry-based, which means they are designed to answer a question (often a question the child creates herself). 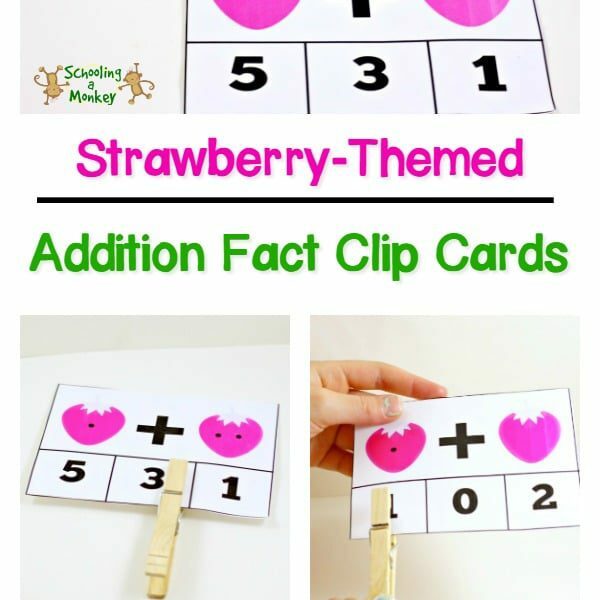 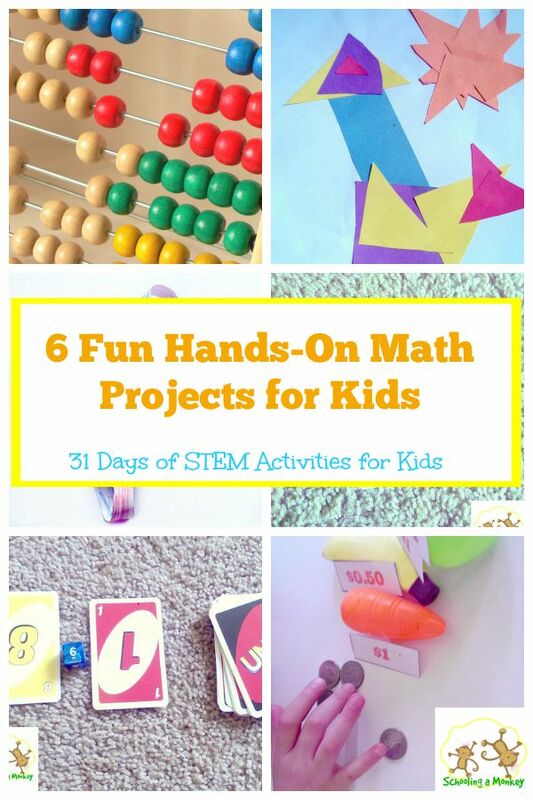 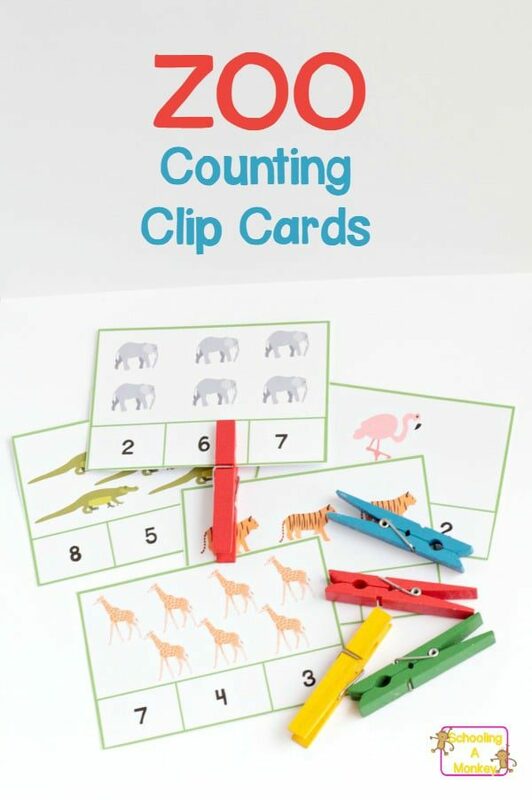 STEM activities encourage children to see subjects like math and science in a new light, and how to use those subjects to solve their day to day problems and the problems that they might face as adults. 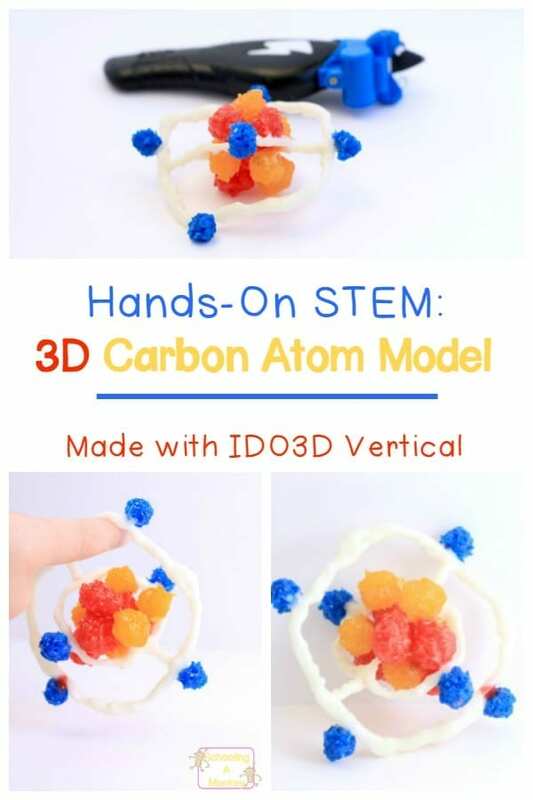 All STEM activities should contain elements of at least two disciplines in STEM, and all of them when possible! 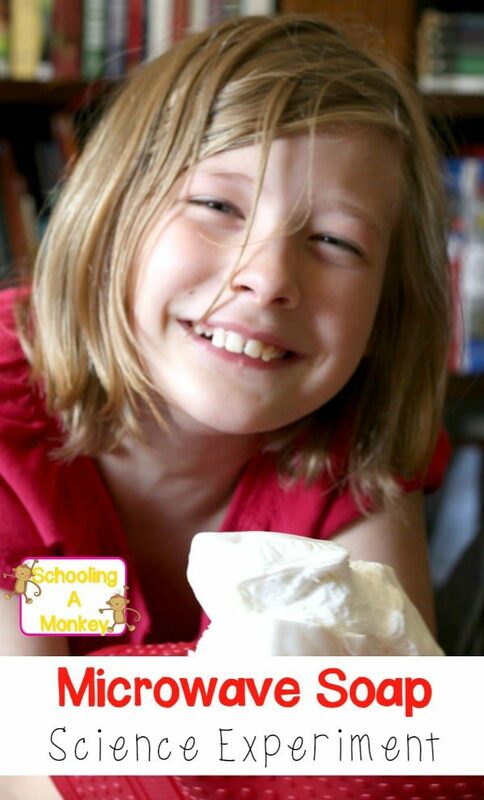 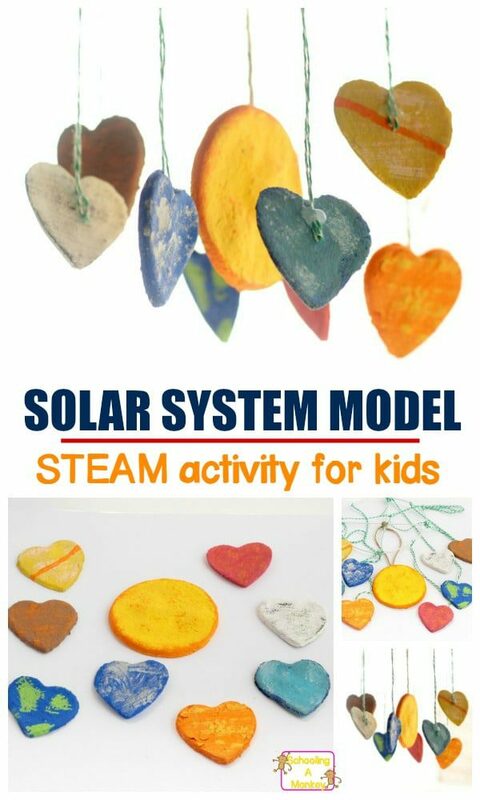 WHY SHOULD I DO SUMMER STEM ACTIVITIES WITH KIDS? 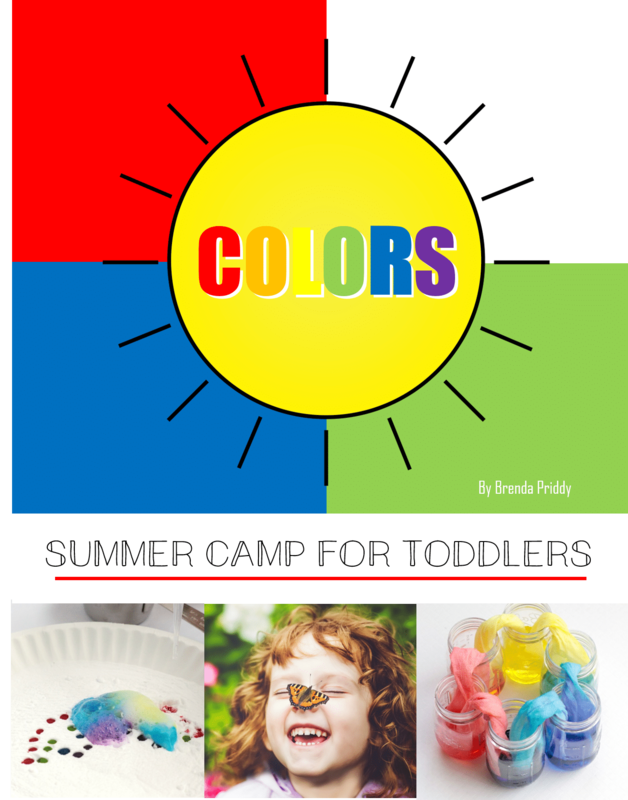 During the summer, kids have about two full months when they are not participating in educational activities. 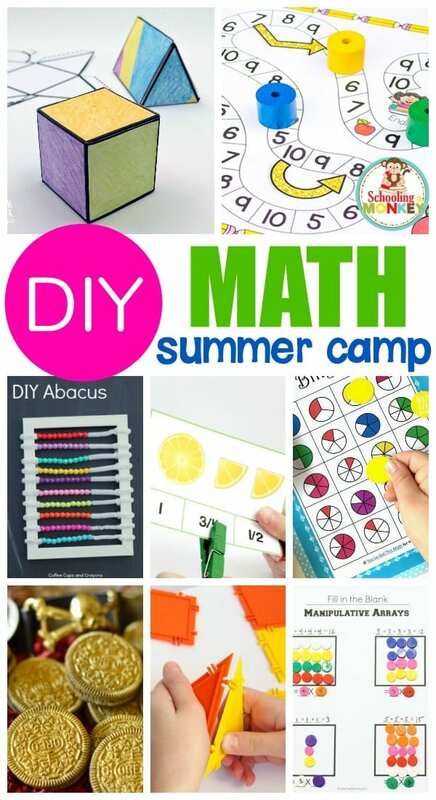 Although you might put your child in camp a few weeks to facilitate learning, there will still be gaps in their knowledge when they return to school in the fall. 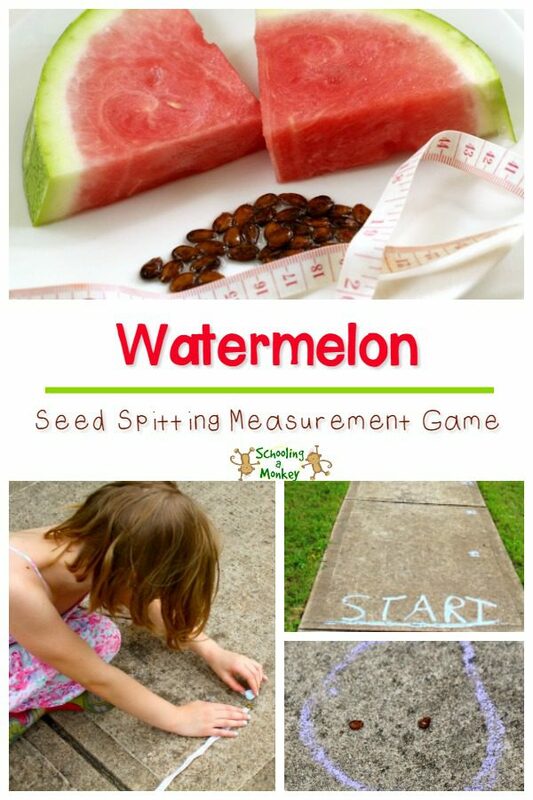 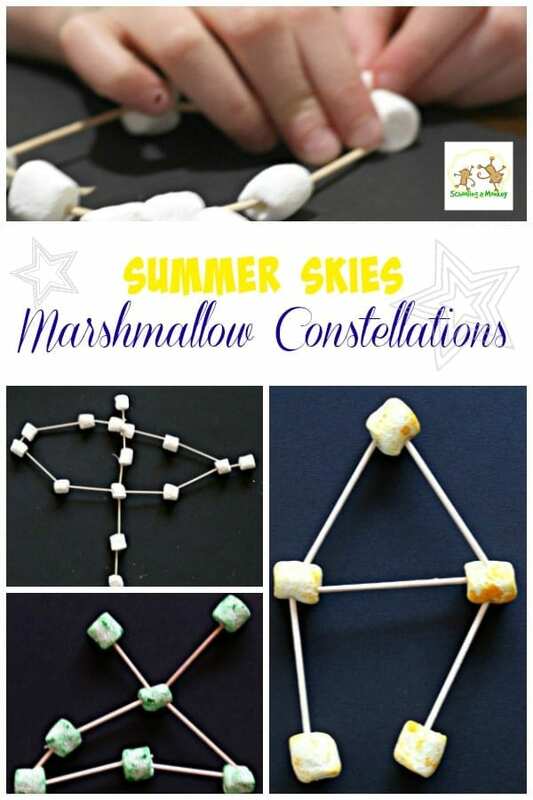 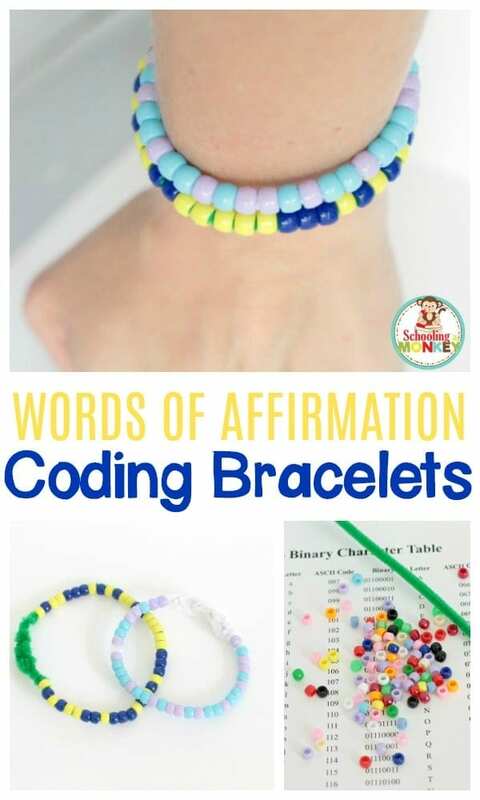 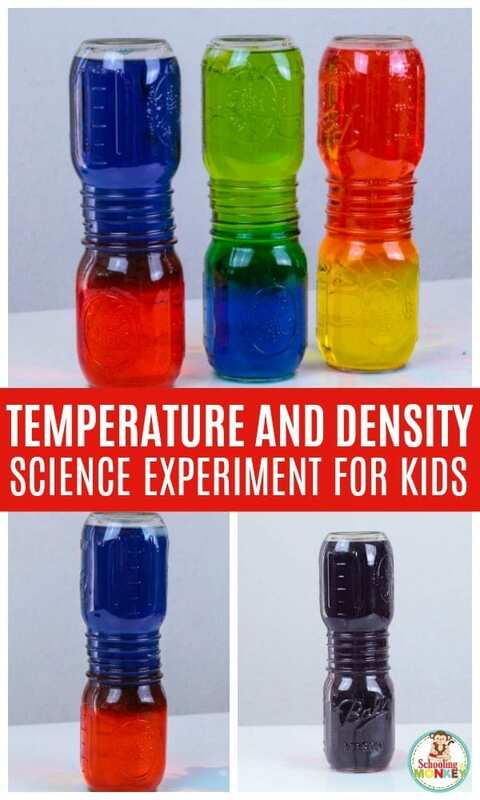 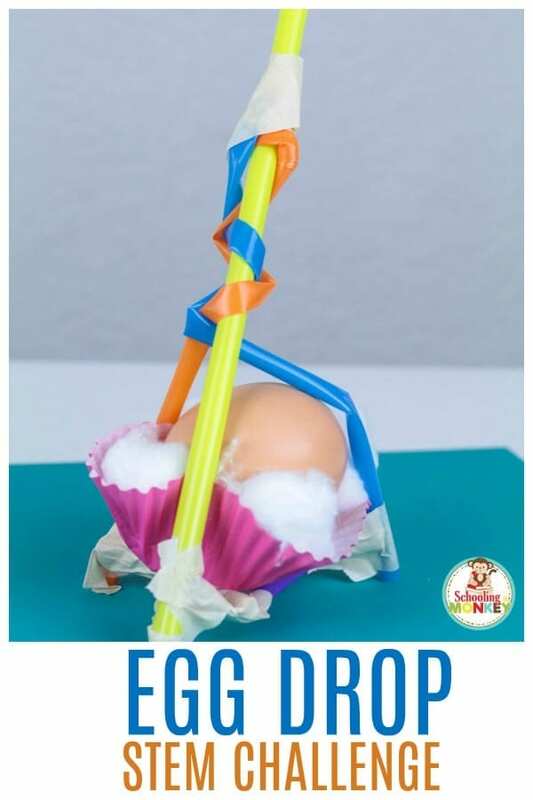 Adding summer STEM activities to your summer line-up will help prevent some of this summer slide, and summer STEM activities are tons of fun and a wonderful way to bond with your kids over the summer. 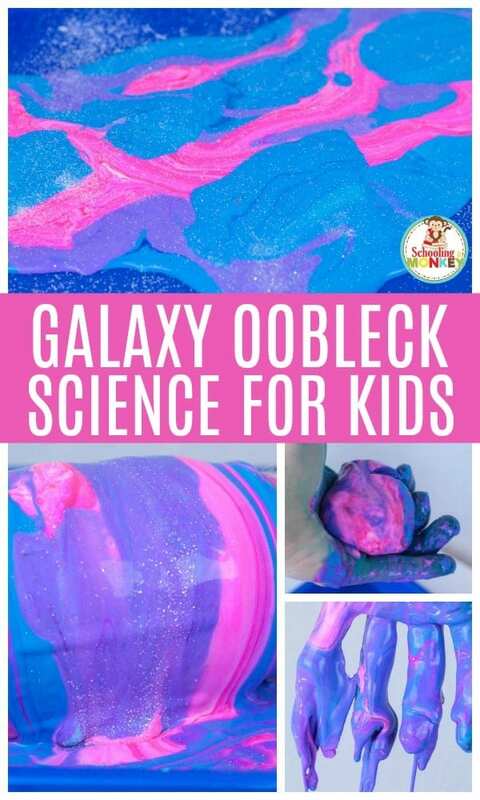 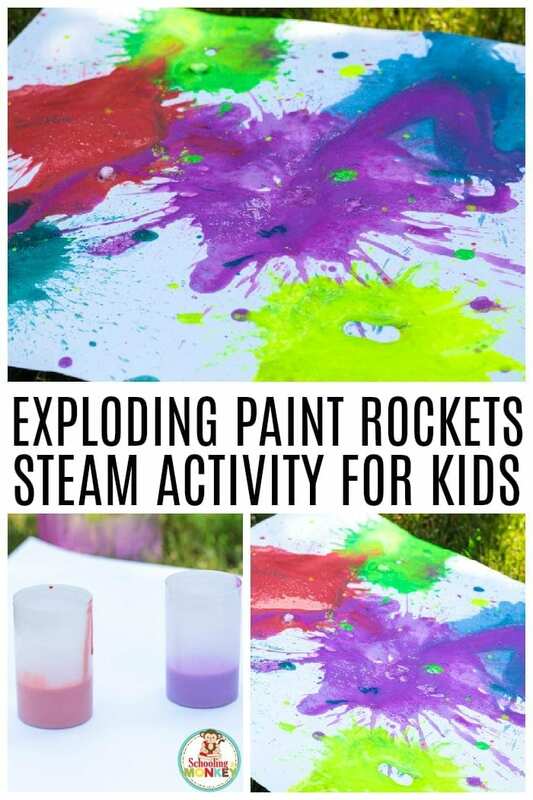 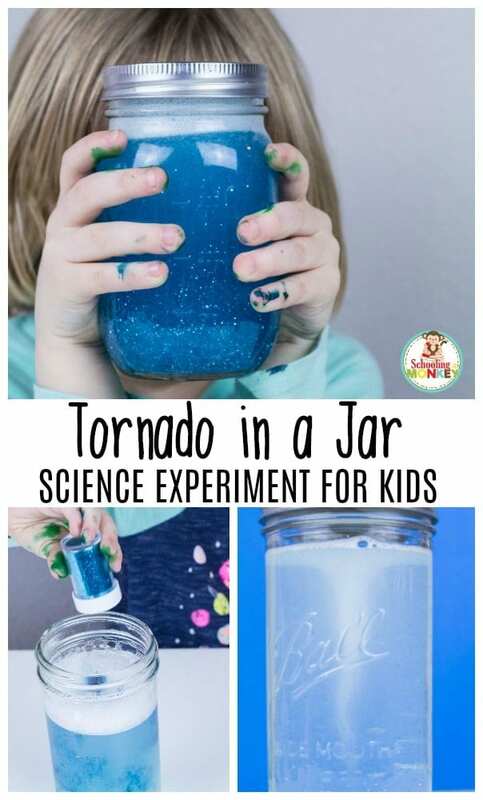 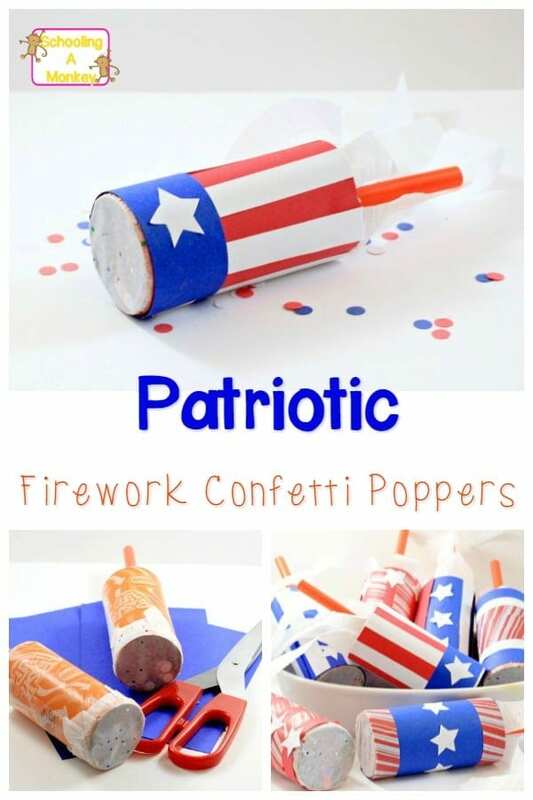 During the summer, we like to do STEM projects that are filled with color, explosions, and fun so that kids see science and STEM as one of their favorite subjects. 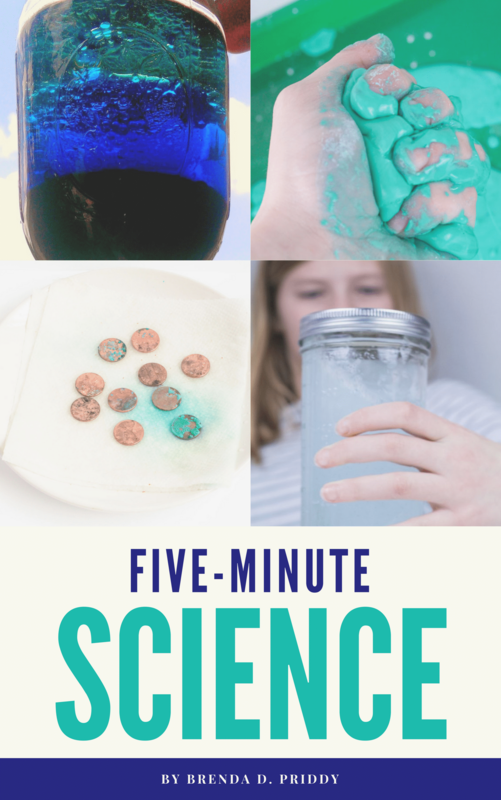 My own kids have done summer STEM activities since kindergarten, and science and STEM continues to be their best subject in school. 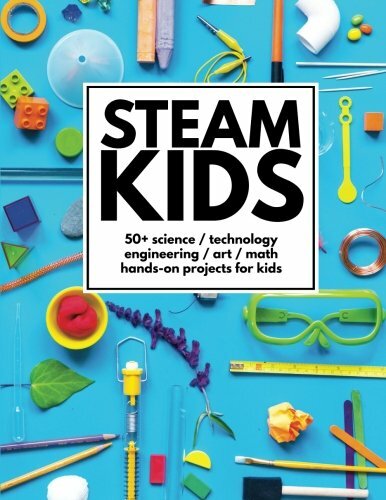 WHAT DO KIDS NEED TO DO SUMMER STEM ACTIVITIES? 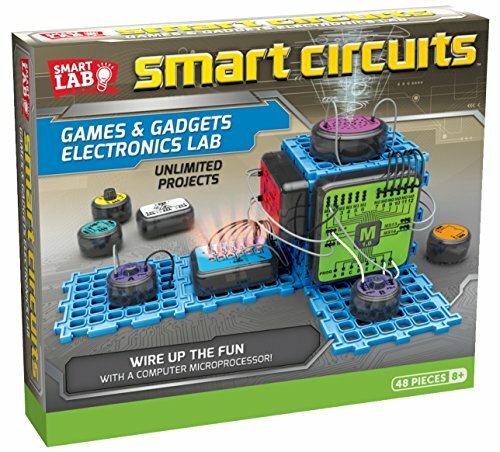 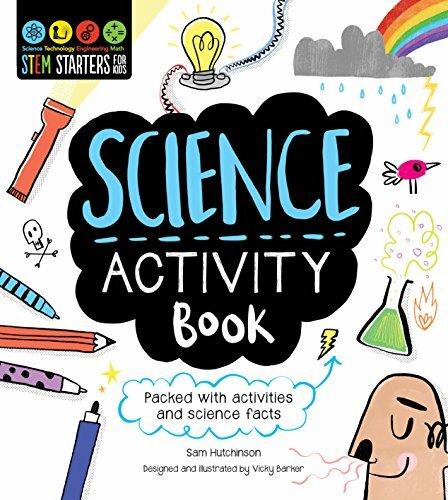 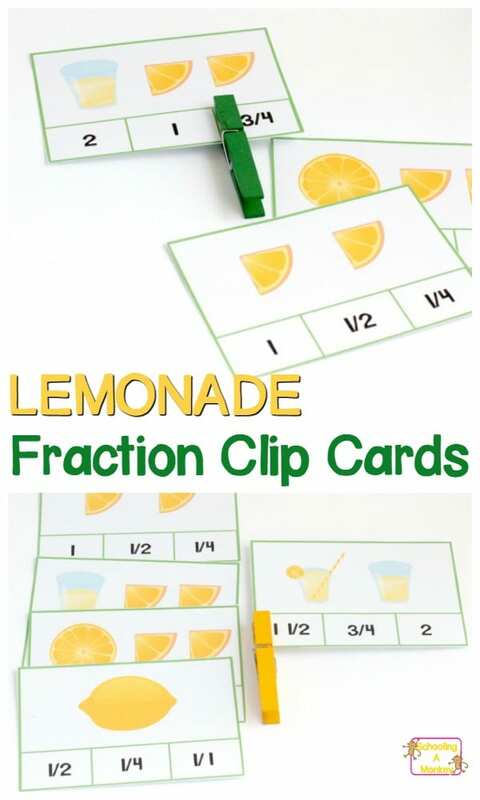 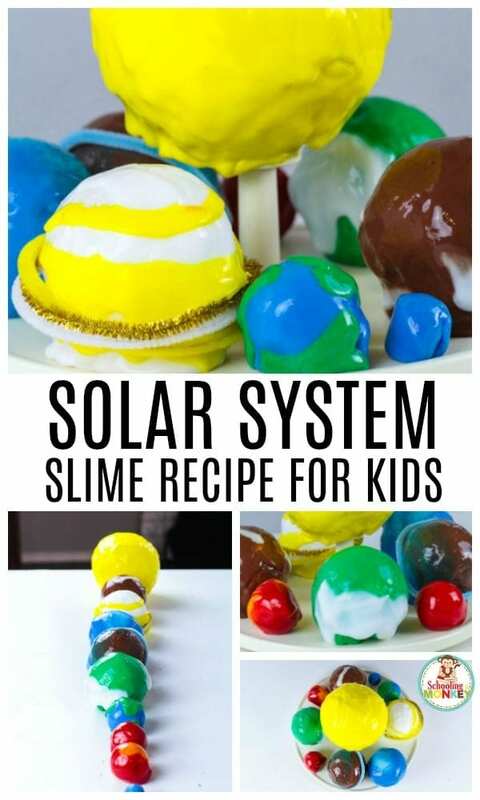 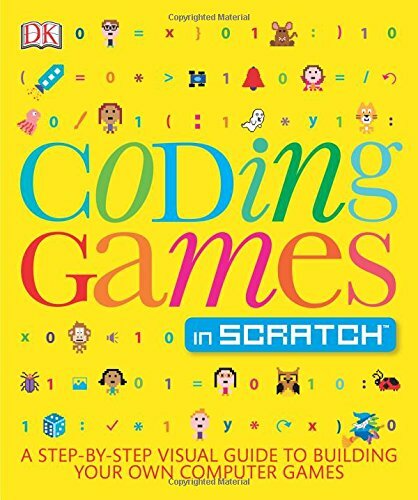 These books and supplies can help make your summer STEM activities fun and educational! 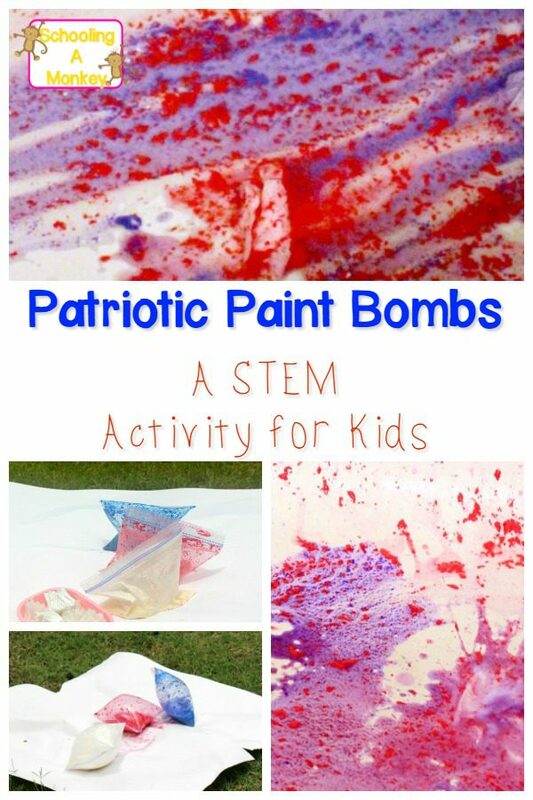 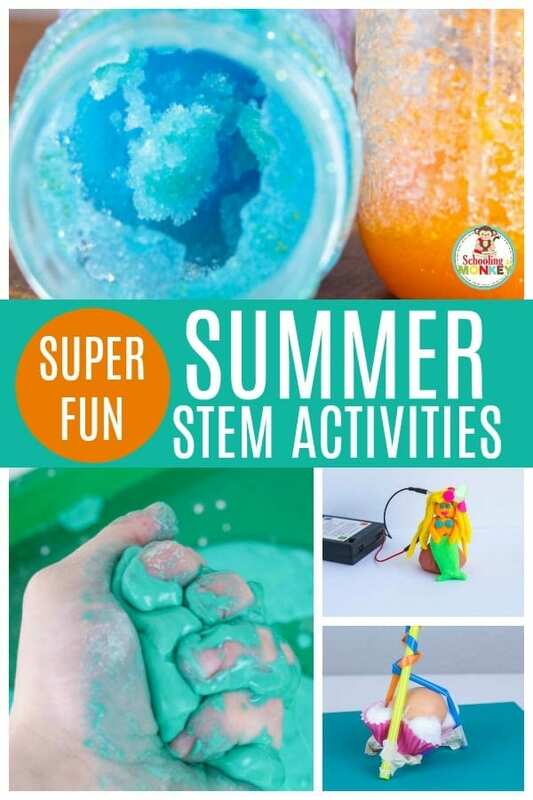 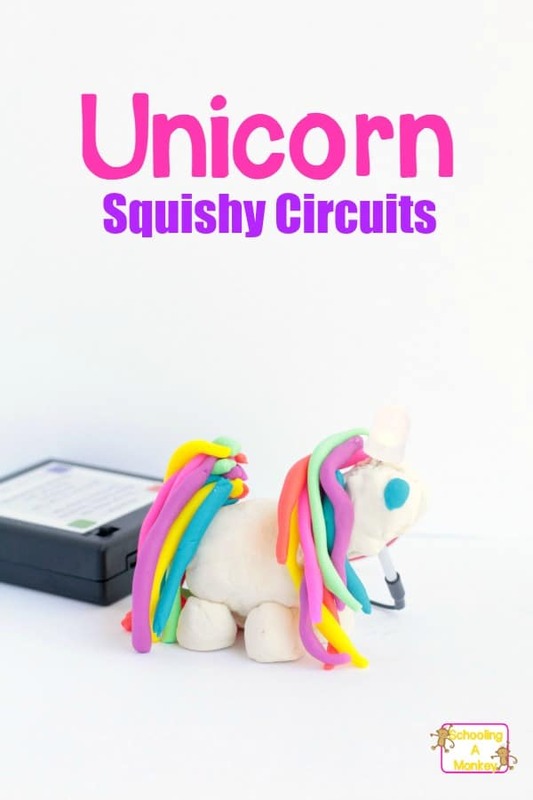 Follow along with this guide to find super fun and engaging STEM activities for summer! 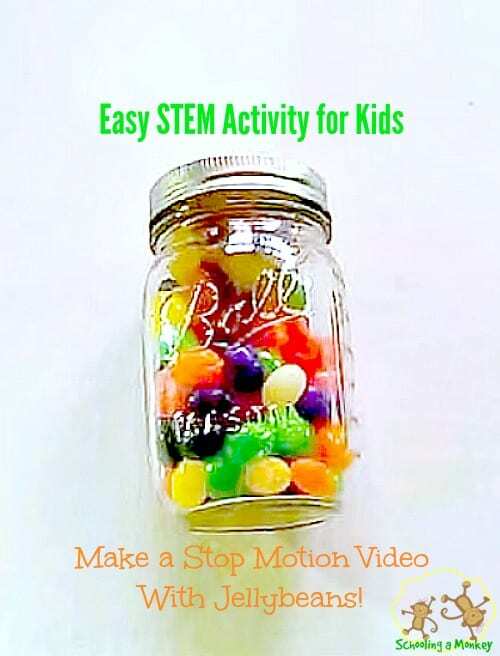 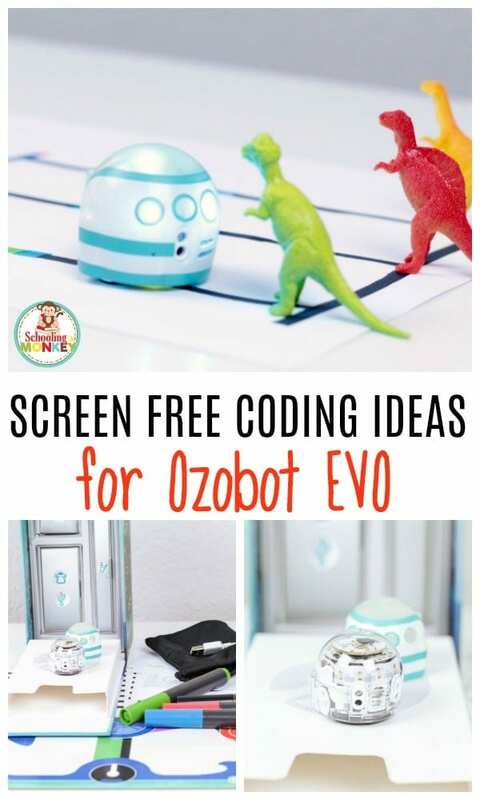 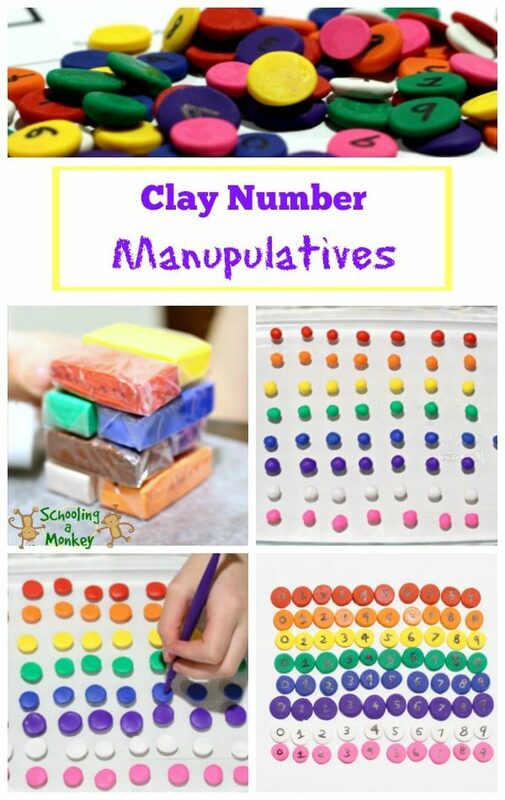 If you want more fun STEM ideas, try these creative STEM activities for kids, the ultimate list of STEM activities, quick STEM activities, and easy STEM activities!